Former Claremont and Concord railroad #102 now on the Cooperstown and Charlotte Valley Railroad finally gets a call to duty for the first time after being acquired. The purchase of the unit was finalized in March of 2017 and arrived on the railroad that November. 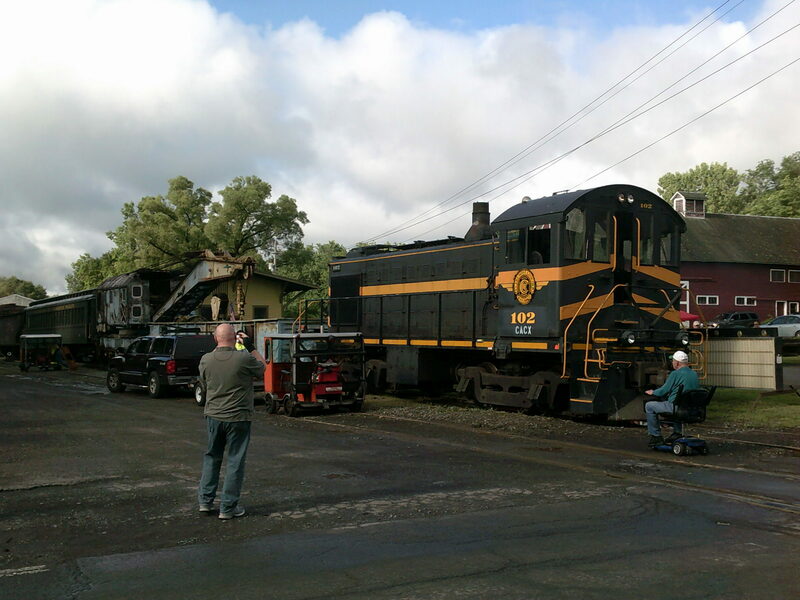 With volunteers doing the work to make her a running unit, she was ready to go for the railroad's annual Railfan day on the first weekend of August 2018.